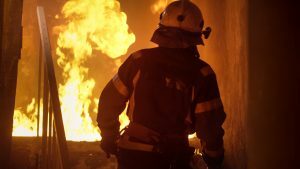 Pros Who Help With Fire Damage | Sincerely Yours Inc. If you have ever had a fire in your home, you probably knew what to do instinctively. Evacuate you and your family immediately! Stay low to the ground. If you are on fire, stop, drop, and roll. These things are pushed into our minds from near infancy, however, most people don’t know all the different professionals that can help you during a fire and in the aftermath. Having a fire damage cleanup project in your home can be a big deal and there are many people who are there to help you. Of course, the professionals that can help the most in a fire damage cleanup project is the fire damage restoration company, such as Sincerely Yours Inc in Columbia. Restoration companies can take your project from beginning to end. They can help sort through the damaged and restorable mess in your home. They can give you quotes and moral support. They are a wealth of information for anything dealing with fire and water damage, which you will probably have a bit of both. When everyone is safe and the firefighters are working on getting your home extinguished, restoration companies should be the first call you make. Sometimes it can be hard to deal with insurance companies. There are so many unforeseen loopholes when you sign your policy, that can be frustrating after a while. However, there are some insurance companies that are great and have your back immediately. No matter your relationship with your insurance company, talking to them is something you will have to eventually do. If you want to make any kind of claim, you will need to have documentation of the damages and you will also need to keep in contact with them as your fire damage restoration project goes on. Another professional group that can be an invaluable asset when you have fire damage in your home is a medical staff. Fires can be traumatic emotionally and physically and if you were in your home at the time of the fire, you might need to seek medical attention. You might have physical burns, low oxygen, or be in shock. Sometimes you can be cleared by an ambulance at the scene, but many times you will need to be checked out by a physician if there is a more major medical problem. In these cases, you will have to contact your medical insurance as well. A fire damage restoration project requires a lot of hard work, organizing paperwork, and countless phone calls. Fire damage can be completely devastating in every way, but you can be at ease knowing that you have professionals working on your restoration project, taking care of the finances through insurance, and a medical staff to take care of your physical health. There are many professionals available that have years of experience dealing with problems just like yours. Though you can easily get discouraged in the aftermath of a fire, know that there are many people who are on your team fighting for your success.